Congratulations on your new Countertop! To ensure that you enjoy them for years to come. We have put together a simple care and maintenance guide for you. 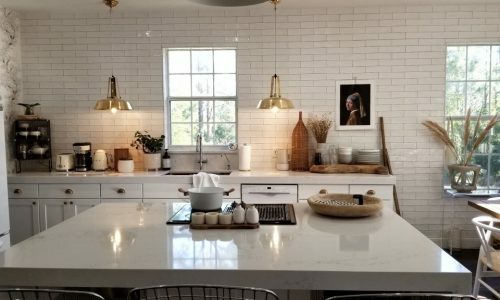 Following these guidelines will keep your countertops looking as beautiful as when they were first installed. Quartz is very easy to maintain, is non-porous, it does not need sealing, resistant to stains and scratches and it’s quite versatile. However it is not heat, stain and scratch proof. 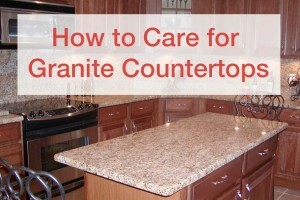 It is the most durable of all the stones for countertops and it requires less maintenance. It’s only required to utilize a damp cloth with soap and warm water regularly to keep it from staining from everyday use. It is highly recommended that you clean any spills or food stains immediately. Do not use any abrasive wipe or cleaner, otherwise it will scratch the surface and remove the gloss and shine. Although quartz is resistant to heat, the use of trivets and heating pads is recommended to avoid a sudden direct change of temperature. When cutting food, the use of a cutting board is a must to prevent scratches against the surface. When cleaning do not use ammonia or bleach or any strong solvents it may dull the natural shine of the quartz. Using the flat side of a razor blade will help on removing tough dried foods from the surface as well as a 000 mild steel wool, it is a trade secret that works effectively. Marble is very sensitive to acidic substances for example: wine, coffee, soda, fruit juices, tomato sauce & toiletry products can all cause etching to the surface finish leading to stains. It is important to know that when caring for your Marble countertops the only cleaning agent you should use on a regular basis is warm soapy water along with a sponge or soft cloth to wipe away dirt. Never use bleach or vinegar to clean your Marble countertops. If you find yourself in need of a deeper clean and shine it is best to use a specially formulated stone cleaner and polish. These products can be found at your local grocery store. The best way to avoid all damages to your countertops is tofa always use coasters and trivets! Granite is a very hard substance and will take normal wear and tear very well. Granite is heat resistant and can withstand the placement of cooking vessels directly from the stove or oven to the counter top without damages. However, we still advise to use of trivets and heating pads. Granite is also scratch resistant. Although, we do not suggest using it as a cutting surface. Over time, repeated use as a cutting surface can dull the knife blade and finish. Nevertheless granite has proven to be very durable. You should still always use caution when cleaning and be sure not to use any abrasive chemicals. A simple clean with warm soapy water will do the just fine and if you are looking for a deeper clean it is always recommended to use a specially formulated stone cleaner and polish. 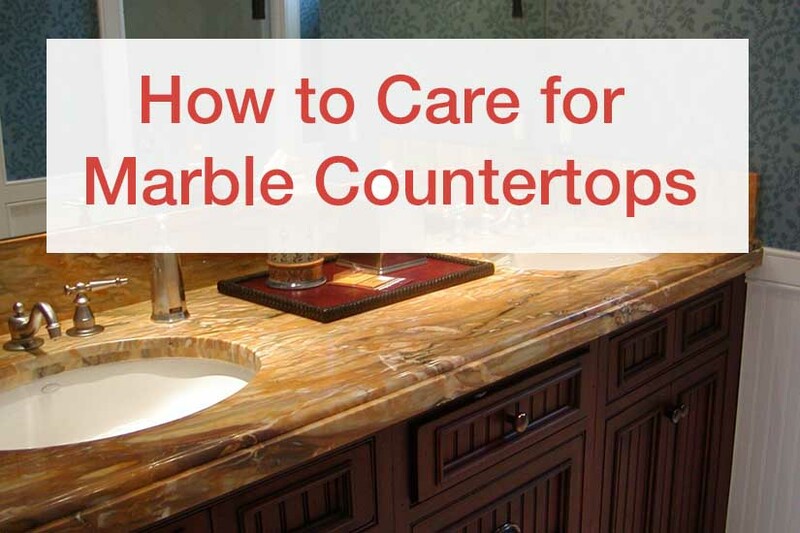 How to Care for Marble Countertops and other Marble Maintenance! Marble is a metamorphic rock, a form of limestone that has undergone long exposure to heat and pressure deep in the Earth interior core. Due to its style of creation, it carries a natural look and unique pattern of veins that contain a variety of minerals giving it a natural rich appearance. Marble is highly porous making it susceptible to acid based spills such as juices, soft drinks, oils, etc. staining the marble stone. Cleaning up spills immediately and accordingly will make the stone’s life and beauty last for a longer period of time. Avoid spills as much as possible. They can however be easily repaired and restored with processes such as honing and polishing. Proper maintenance is highly recommended. Being classified from 1 through 4 in the MOH scale, Marble Countertops tend to scratch easier than granite. Avoid rubbing, dragging of any hard substances even small pebbles carried by paper bags may be able to damage the surface. The use of abrasive scouring cleaning powders will also tend to scratch the surface as well, they should also be avoided. Utilizing bleach, vinegar, and ammonia will damage the marble’s surface and fade its color given time and should be avoided. There are several specialized cleaning agents that are made specifically for proper marble care such as “Bullet Proof” and “Ravitalizer.” Direct food cutting against the surface is to be completely avoided. We recommend the usage of cutting boards. Moreover, marble is a high heat resistant stone, the use of heat pads, trivets and coasters is highly encouraged. Taking care of marble with these helpful tips, will certainly give your place of business or your home, a magnificent long lasting look through the years to come. 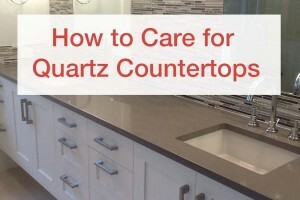 How to care for quartz countertops: How to care for quartz countertops and other tips for maintenance! Quartz is by far the most simple material we sell to maintain. With a little thought and preparation, your quartz countertops will maintain their look for many years!